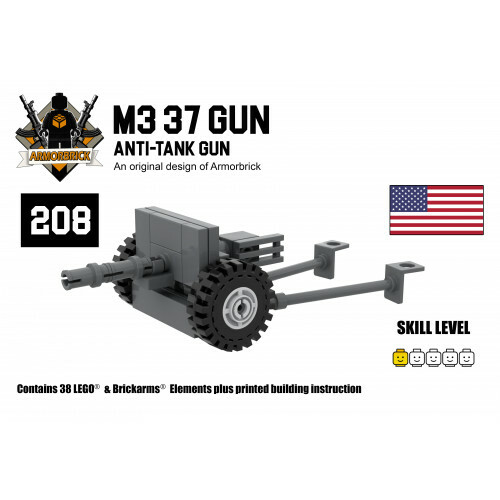 Contains 32 LEGO & Brickarms Elements plus printed building instruction.Skill level: 1 out .. 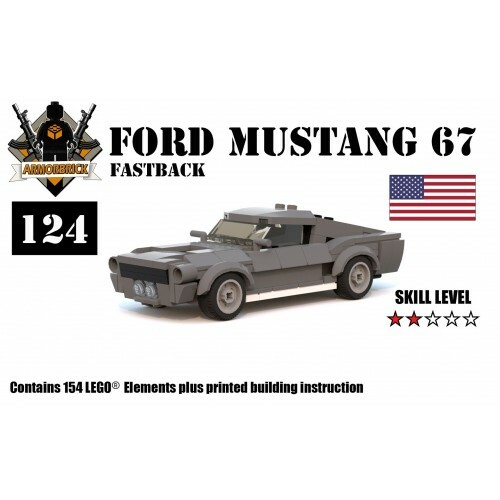 Contains 154 LEGO Elements plus printed building instruction. Skill level: 2 out of 5 The .. 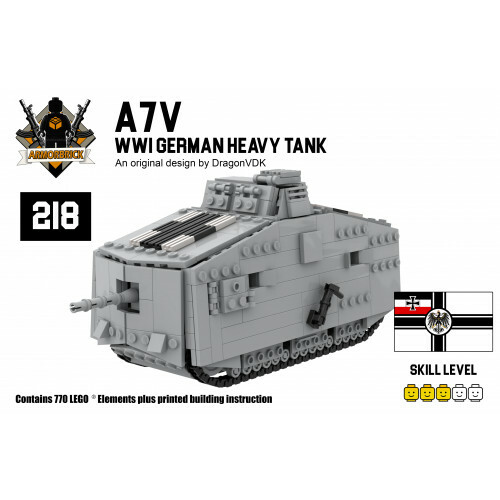 Contains 770 LEGO parts plus printed building instruction.Skill level: 3 out of 5The A7V was a .. 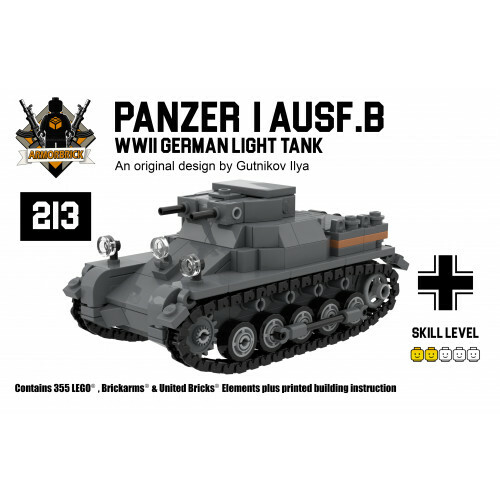 Contains 53 LEGO & Armorbrick parts plus printed building instruction.This is not ZIS-6 truck. T.. 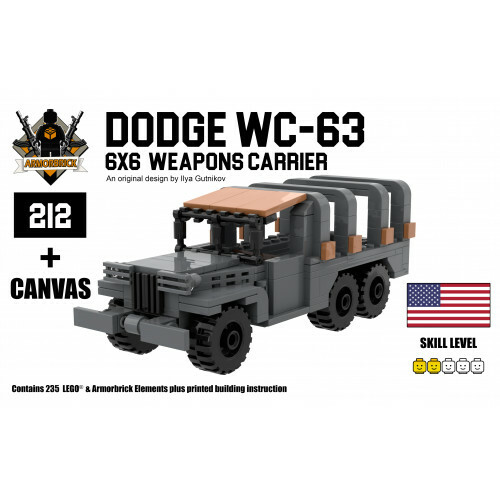 Contains 235 LEGO, Armorbrick(Canvas) & Brickarms Elements plus printed building instructio.. 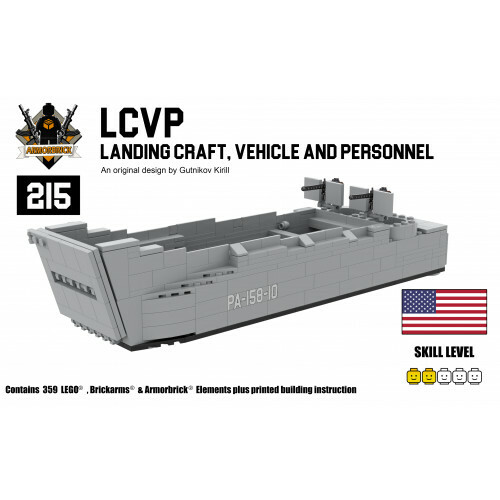 Contains 359 LEGO parts.The landing craft, vehicle, personnel (LCVP) or Higgins boat was a landing c.. 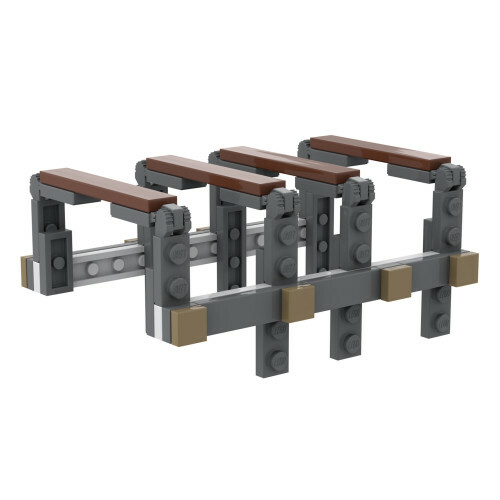 Contains 502 LEGO, Brickarms & Brickforge Elements plus printed building instruction.Skill level.. 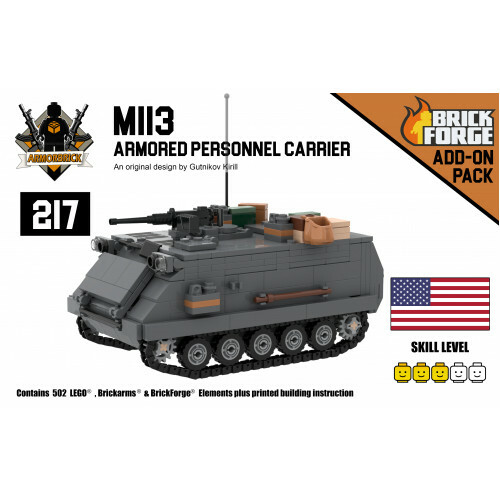 Contains 38 LEGO & Brickarms Elements plus printed building instruction.Skill level: 1.. 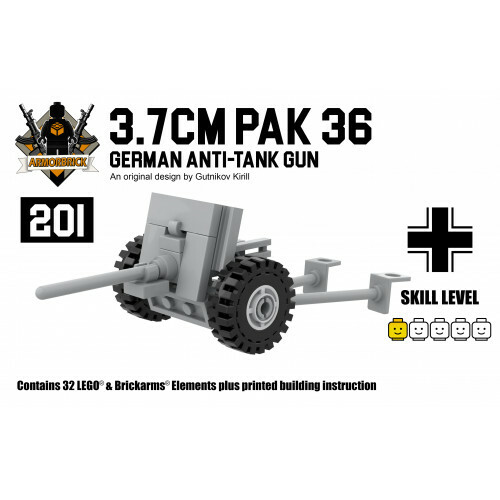 Contains 355 LEGO & Brickarms Elements plus printed building instruction.Skill level: 2 out.. 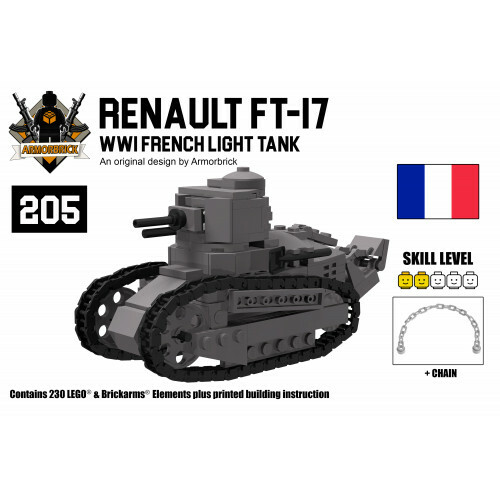 Contains 230 LEGO parts.The Renault FT 17 was a French light tank that was among the most revolution.. 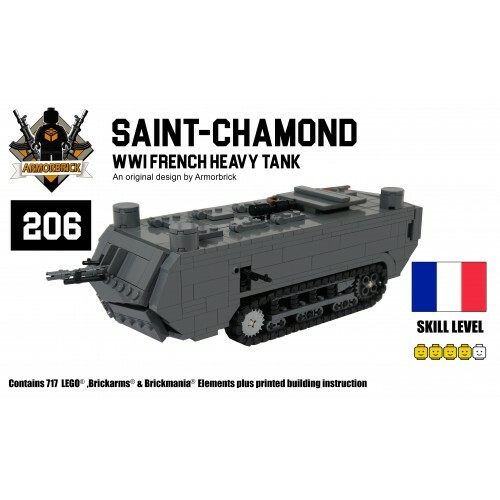 Contains 717 LEGO parts.The Saint-Chamond, named after the commune of Saint-Chamond, was the second .. 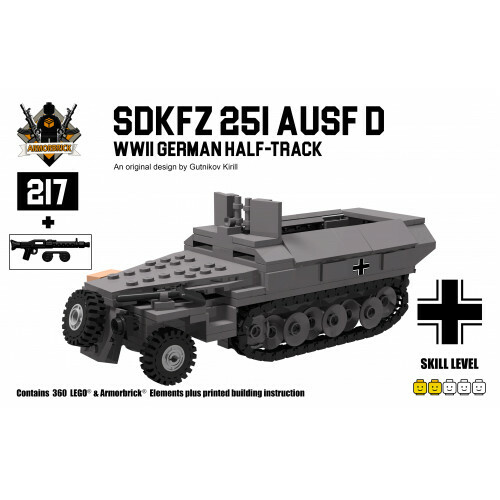 Contains 502 LEGO parts plus printed building instruction.The Sd.Kfz. 251 (Sonderkraftfahrzeug 251) .. 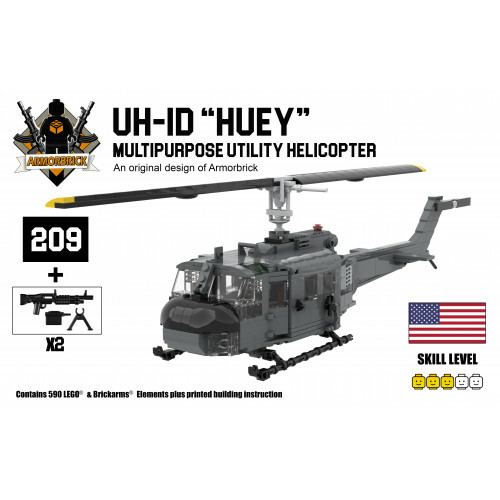 Contains 590 LEGO parts.UH-1D "Huey" is a utility military helicopter powered by a single turboshaft.. 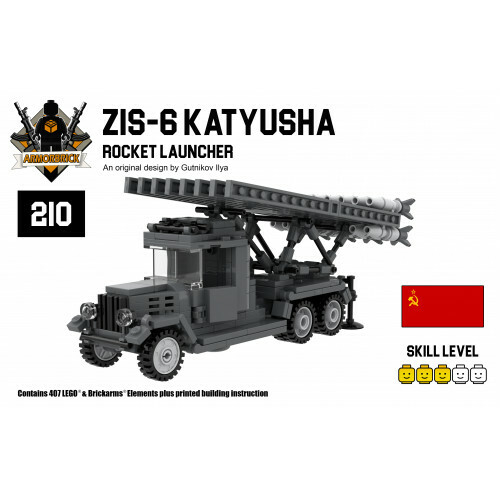 Contains 407 LEGO & Brickarms Elements plus printed building instruction.The ZIS-6 (Russian: ЗиС..